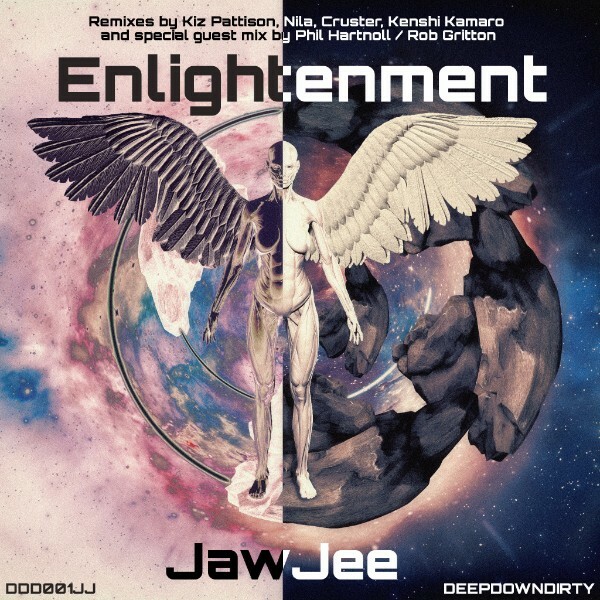 DeepDownDirty is proud to present you with Enlightenment; from atmospheric, hypnotic soundscapes to lose-yourself-in-the-music deep music bangers, these tracks will take you on a journey into music you will not soon forget courtesy of electronic music maestros JawJee, Kiz Pattison, Nila, Kenshi Kamaro, Cruster and our special guest remixers: the one and only Phil Hartnoll co-producing with the talented Rob Gritton (one of the owners of the fabulous Moon Island Records). Posted in Release. Tagged Cruster, Deep Down & Dirty, JawJee, Kenshi Kamaro, Kiz Pattison, Nila, Phil Hartnoll, Rob Gritton.